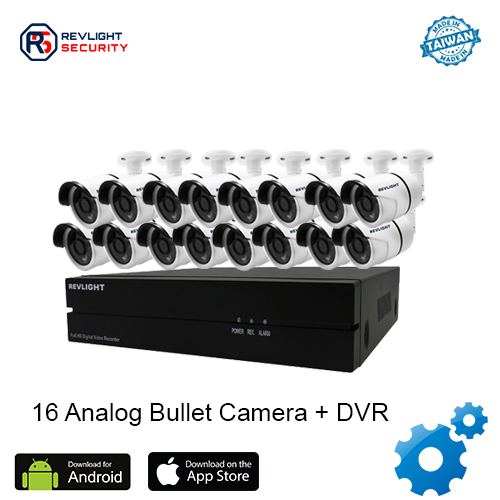 Our 16 Camera DVR Security System Consists of 16 analog camera including one 16 channel dvr system with 4 TB video recording storage, which has 1 year warranty. Protect Your Investments With A 16 Camera DVR Security System. Get a security system you can trust. With a commercial-grade 16 Camera DVR Security System, your assets will be protected no matter where you are. Cutting-edge features include 1080 lines of resolution housed in a small, but efficient analog camera. If you are looking for outdoor cameras, the weatherproof-housing encasing the technology inside can stand up to what mother nature throws at it. Used inside or outside, installation of these best HD CCTV security cameras is simple with wall and ceiling easy-mount brackets. 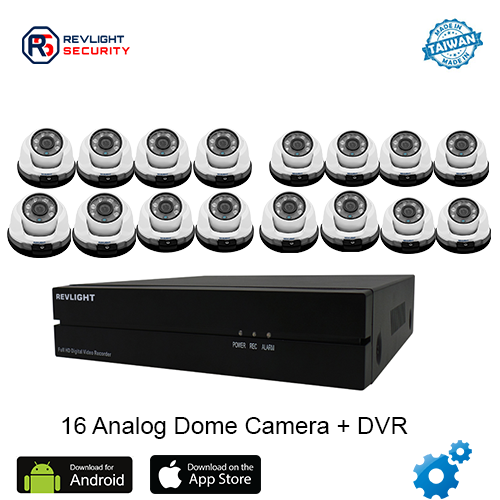 Get The Clear Picture With Revlight Security’s HD CCTV Security Camera Systems. We already are helping many others with their security needs. They trust us and so can you. With one of our 16 surveillance security systems installed at your home or office, you can sleep soundly. Have questions for us? Call our Revlight Security CCTV Team experts today for a free consultation at +65 6678-6557.